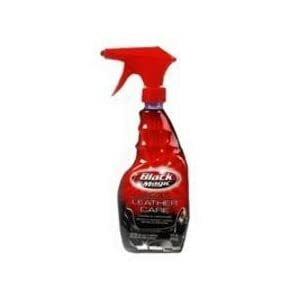 Black Magic 2-IN-1 LEATHER CARE 16 OZ. TRIGGER case of 6, Avi Depot=Much More Value For Your Money! Clean and conditions in one step (2-in-1) Clean, moisturizes and conditions leather, so that it remains rich and supple with fresh leather scent. PH balanced to work effectively. Protects against fading, drying and cracking. No greasy residue. Contains conditioner to nourish and preserve.